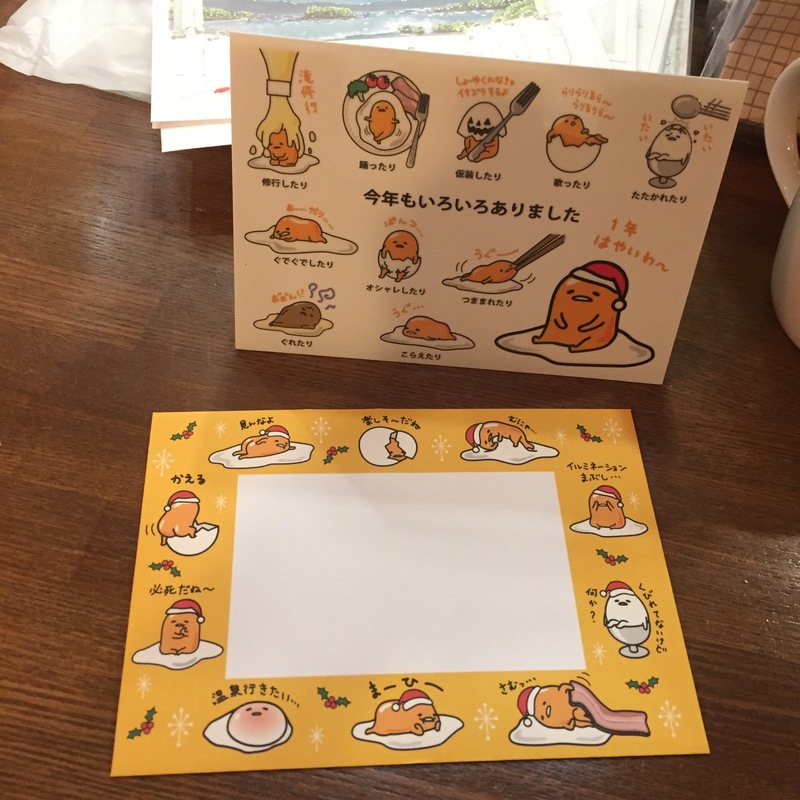 The first time I saw this lazy egg yolk character “Gudetama”, I was very amused and thought “seriously there is such a character!” Gudetama is an egg yolk that has zero motivation. ZERO. He wants to sleep all day in his eggshell, and wrap himself inside a piece of bacon. He was first introduced in 2013. I was even more surprised when I found that the creator of this lazy egg yolk character is a famous Sanrio, a company that specialized in creating cute cartoons like Hello Kitty that is $7 billion dollars worth. I learned that before creating any character, they did an intensive research about how people feel and gather many artists to create the perfect character that people can relate themselves to. This is a Christmas card that I wrote to my friend. You can watch him here!